More on the VTI Flat Panel TV Stand for Screens up to 55 inches (Silver with Clear Glass) RFR403SW below. Call a VTI AV rack specialist at 1-800-807-1477. 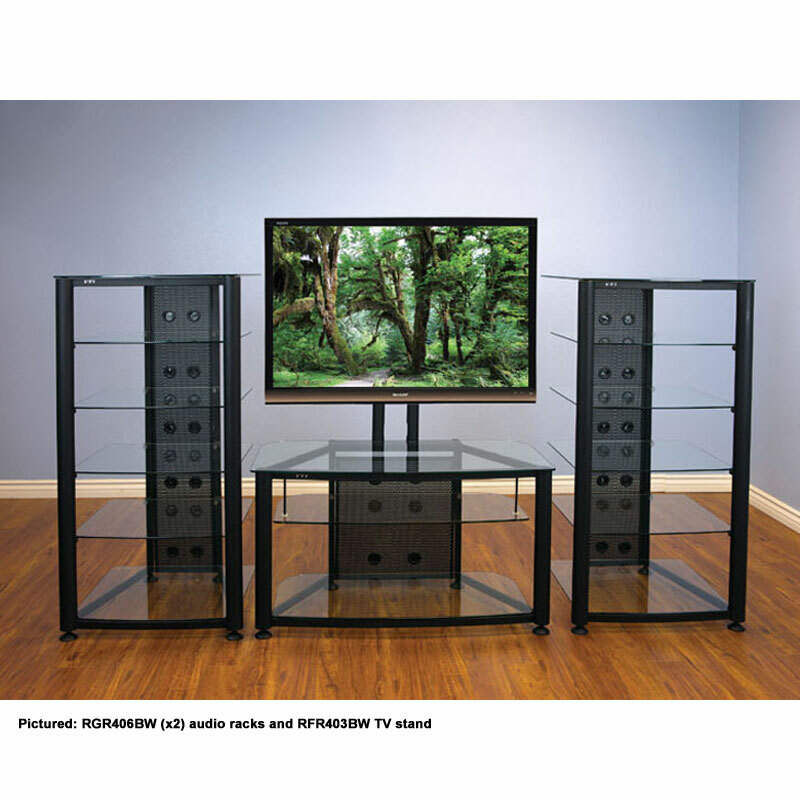 A dual-function design: Mount the TV on included twin steel posts or use the unit as a stand-alone audio rack with the TV wall-mounted above it! Powder coated, round metal poles. Extra-wide component shelves, easily accommodating up to 8 peripheral components. Available with a black or silver frame and clear, frosted or tinted black glass. 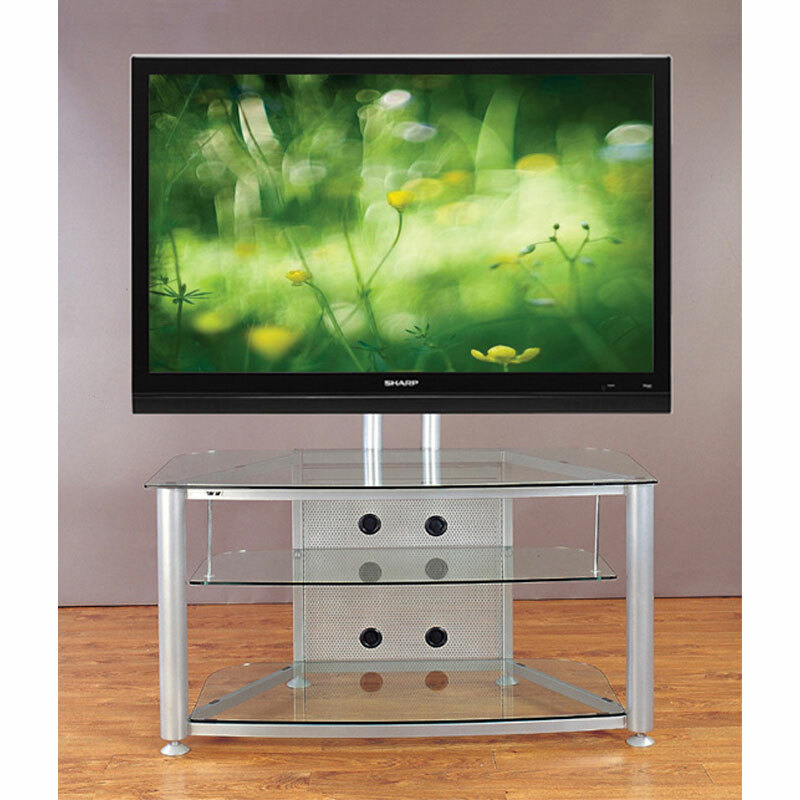 Flat panel TVs up to 55 inches with maximum mounting patterns of 700x700mm and 130 lbs.